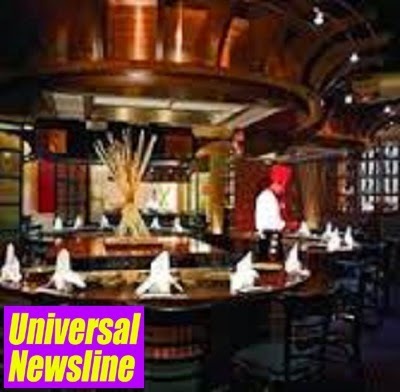 Universal Newsline - Business, Lifestyle, Entertainment : "Special Diwali Promotion at Benihana"
Going beyond the traditional Diwali offers of Diwali desserts and discounts Benihana India has come up with a special Diwali Promotion. All the customers who are dining in at Benihana will get a special complimentary shoulder massage courtesy Spa Hibiscus. Divyansha, Marketing Head, Benihana India says," Diwali is a time of celebrations and people are constantly on the move either to buy goodies or to distribute them or to shop for new clothes, decorative items etc. So amidst all the running around this Diwali Benihana has come up with this special gesture to make sure that our guests get rejuvenated whilst having a sumptuous meal at Benihana."